When it comes to wood damage, termites aren’t alone. 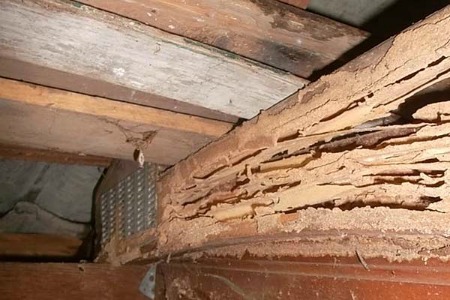 Wood boring beetles are also known to cause problems for SC homeowners. 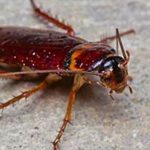 Learn more about the different types of these bugs that are found in SC, so you can identify them and get Hilton Head wood boring beetle treatment right away. Anobiid beetles, also known as deathwatch beetles, measure between 1/8 and 1/4 inch long and have a reddish brown or black color. These beetles are drawn to softwoods and hardwoods, but not all of them eat this wood. In fact, the larvae are the only ones that feed on wood. Emerging powderpost beetles make round holes in wood in order to get out of it and mate. Females sometimes lay eggs in the same wood, although some go to new locations to deposit their eggs. Bostrichid beetles are also known as false powderpost beetles. They’re roughly the same size and color as anobiid powderpost beetles, so it’s easy to confuse the two. These beetles are mainly attracted to hardwood, especially when it has been newly cut. Unlike anobiid beetles, they usually don’t target softwoods. However, larvae and adult bostrichid powderpost beetles alike do cause damage to wood. Lyctid powderpost beetles are “true” powderpost beetles. They are also about the same size and color as anobiid and bostrichid powderpost beetles. Lyctid larvae cause damage to wood, but they’re only found in hardwoods rather than softwoods. These beetles are able to live inside hardwood that’s very dry or very moist. When young lyctid powderpost beetles become adults, they push their way through the wood, leaving behind a circular hole. The wood boring beetles are a type of long-horned beetle that can do some damage to homes. These bugs can grow to be an inch in length, and they have a brownish-black color. Old house borers typically damage pine and other seasoned softwoods when they are larvae. Despite their name, they’re often found in newer homes that have this kind of wood. What should you do if you think you have wood boring beetles in your SC home? If you think you might need Hilton Head wood boring beetle treatment, keep in mind that these beetles are fairly common and you might be seeing damage from an old infestation that has been dealt with. Look for odd piles of powder that have a yellowish tint and are clumped together to help you determine whether or not you have a current infestation. New piles of powder are typically lighter in color and have a softer, powdery appearance rather than a more clumped appearance. 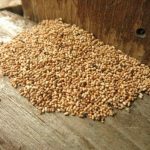 If you do need treatment for wood boring beetles, there are several ways to handle infestations. First, prevent infestations by controlling the amount of moisture in your home, inside your walls and in your crawlspaces. This can deter these beetles from using this wood to lay eggs. Water sealants and other types of surface covers can provide you with a simple way to keep out excess moisture. Other treatments include the use of insecticides, freezing methods and removing infested pieces of wood. Keep in mind that wood boring beetles can end up infesting homes again, even if you did not have a severe infestation the first time around. Professional pest control experts know how to reduce this risk and keep your home safe from damage. 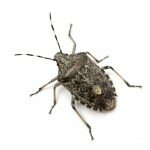 When you have a problem with these pests, it’s best to seek Hilton Head wood boring beetle treatment for your peace of mind. If wood boring beetles are damaging your home, contact Island Pest Control. We provide Hilton Head wood boring beetle treatment to prevent further damage and keep these pests at bay. Keep in mind that we offer a free 56-point inspections, and our technicians are all state-licensed.